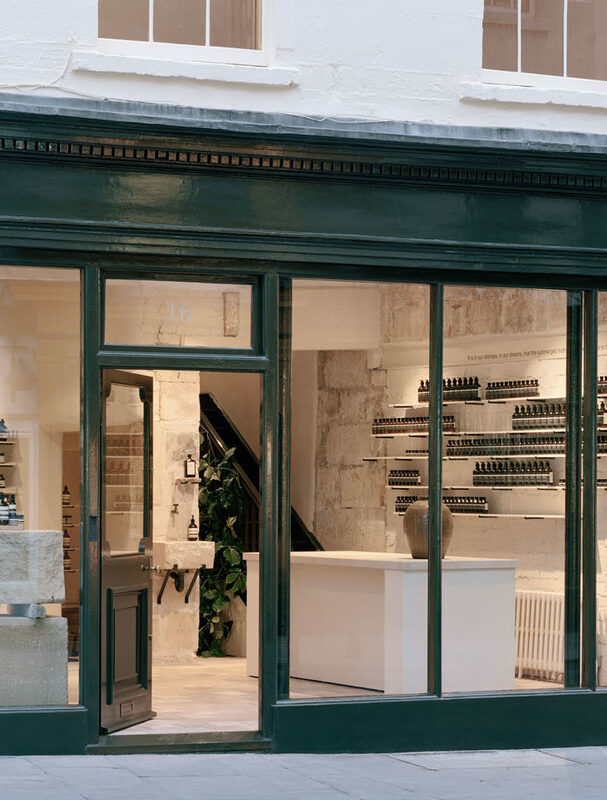 Every Aesop store in the world is different from the others, sophisticated, honed down to the smallest details by a different designer based on the location. 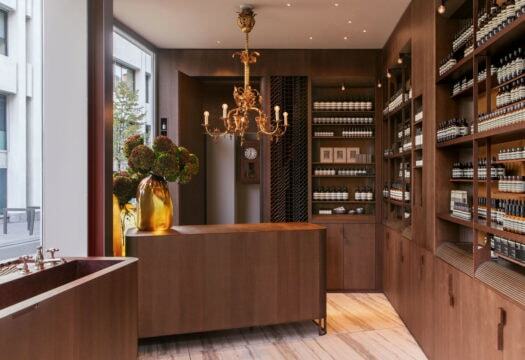 For its first Belgian boutique, the Australian skincare brand has chosen an old four-story building on a corner of Kammenstraat in Antwerp. 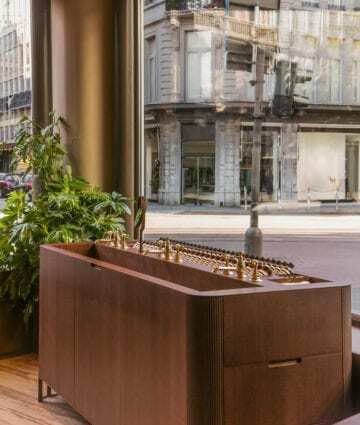 A retro atmosphere pervades the spaces, where the key material is walnut wood. 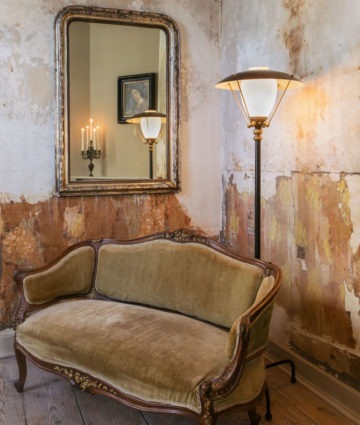 Torn wallpaper and distressed plaster form a setting for vintage furnishings, an antique brass chandelier, a sink with nickel faucets and an old fireplace. 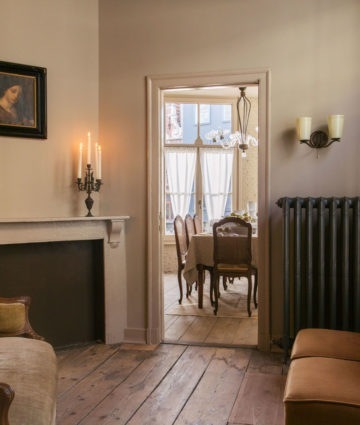 On the upper level a desk, chair and abandoned overcoat summon up the image of a home and an unknown tenant. 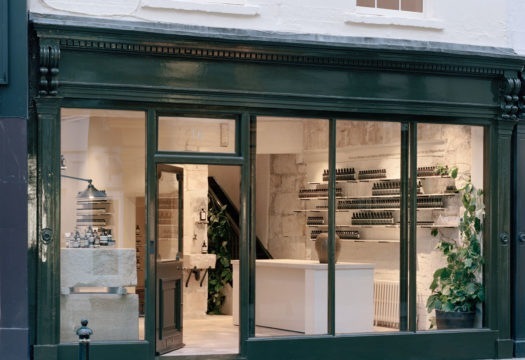 The first Aesop store in Bath, England, by the studio JamesPlumb, is a tribute to the city and its history. 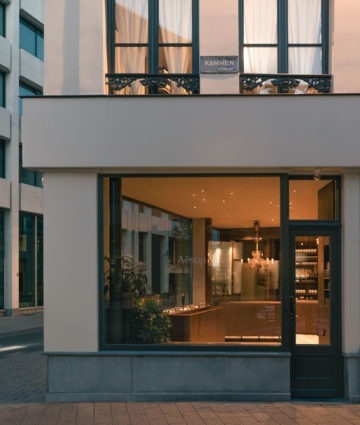 The olive green facade references Georgian style, while the floor has been recycled from a nearby chapel. 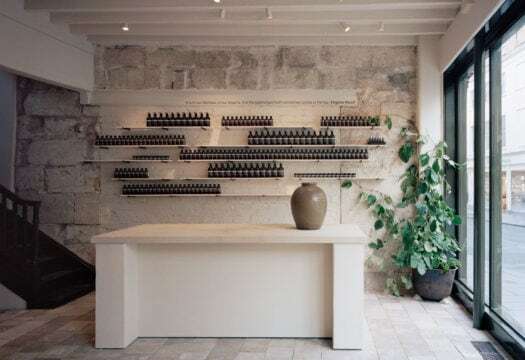 The renovation has brought to light an antique fireplace and a staircase in wood, as well as stone fragments that have been incorporated in the project, with display fixtures sculpted in the same stone. On the upper level, a luminous library adds a domestic tone.